This instruction will guide you how to install of themes and plugins. First off, see the video below. It will guide you how to install WordPress on localhost. Have any troubles in the installation process, don’t hesitate to contact us. We would be glad to assist. If you use cPanel hosting, please follow the steps below. If your WordPress is installed in the root of your hosting, go to the following folder public_html/WordPress/wp-content/themes. If you do not install in the directory WordPress then you just go to your folder. After configuring and make it work, you will see the notification in WordPress Admin Panel. All required plugins we attached in the installation file, you will not need manually install them anymore. Please wait to complete the Import Demo Content. During that time, you can not close the window or use other functions to avoid unnecessary errors occurring. Note: We will replace the demo image with another image to avoid disputes happened related to copyright issues. Go to the Google Developers Console. Create or select a project. Note: If you have an existing Browser key, you may use that key. 4. To prevent quota theft, secure your API key following these best practices. (Optional) Enable billing. See Usage Limits for more information. Go to Dashboard > Appearance > Menus. In order to create a new menu, click Create a new menu and fill the name in Menu name. Add all menus you need in your left hand. You can move, organize and rename them. Click Save to finish. Choose all desired widgets from Available Widgets and organize them to make it display as your requirement. Delete it if you don’t want it to display anymore. WordPress allows you use other languages besides the default one English. Go to WPML plugin. 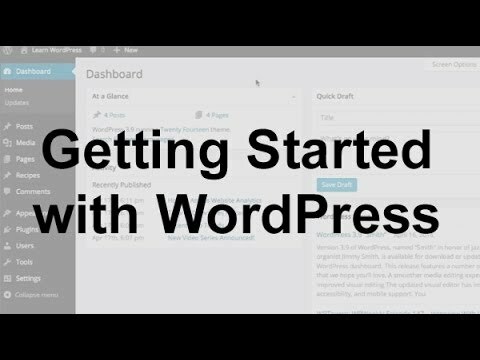 First, configure WordPress to be displayed in your language Obtain the localization files for WordPress by going to https://codex.wordpress.org/Installing_WordPress_in_Your_Language and download either a completely translated WordPress package, or just the localization files (.mo and .po files). Locate the localization files They are named .mo and .po. If you downloaded a translated WordPress package, they are located in /wp-content/languages/. And replace it with (this example is for French): define('WPLANG', 'fr_FR'); Remember to replace fr_FR with your language code. You can update the theme to the latest version quickly by using Evanto Toolkit plugin. Notice: Please make sure you did install Envato WordPress Toolkit plugin before. You need an API code and integrate it with your WordPress site. Login your account at Themeforest, go to your dashboard and click on My Settings. The API Keys screen allows you to generate a free API key. Check for the lastest version. The plugin will now alert you to theme updates – so long as you check the toolkit settings regularly. Click on Install automatically beside each of your themes to automatically update them. The toolkit settings page also allows you to install themes that you haven’t already uploaded to your site, delete ones you don’t use and view version details. You can also set up theme backups. We allways aim to help our customers well. But we will not support all your requirements. If you want to customize your desired, you can use our services.